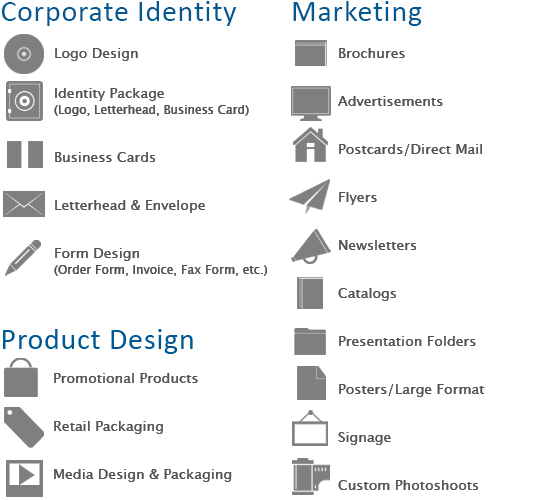 Brochures, Flyers, Corporate Identity, Logo Design, and more! One of our core competencies is Creative Graphic Design Services. We pride ourselves on our ability to bring unique ideas to new or long established brands. 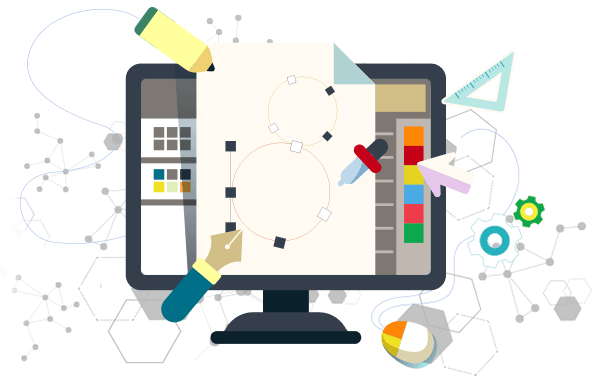 Our Graphic Design process is straight forward and easy to understand! Questions? Give us a call! ? 1 (800) 916 3864. Picture is worth 1000 words, a Logo is worth a lot more! It’s said that a picture is worth 1000 words. A logo is worth a whole lot more. Imagine all the most important details about your company that you want your potential and loyal customers to know conveyed in a glance. Your brand security, quality workmanship and excellent customer service, all communicated in one single glance. That is the power of a logo. Let Our Experts Create Your Brand! Our expert team of Graphic Designers are here to help you form the visual aspect of your corporate identity that will be your logo. From bold Web 2.0 style logos to Corporate Flat logos we’ve got the style, creativity and experience to create the perfect logo for you. 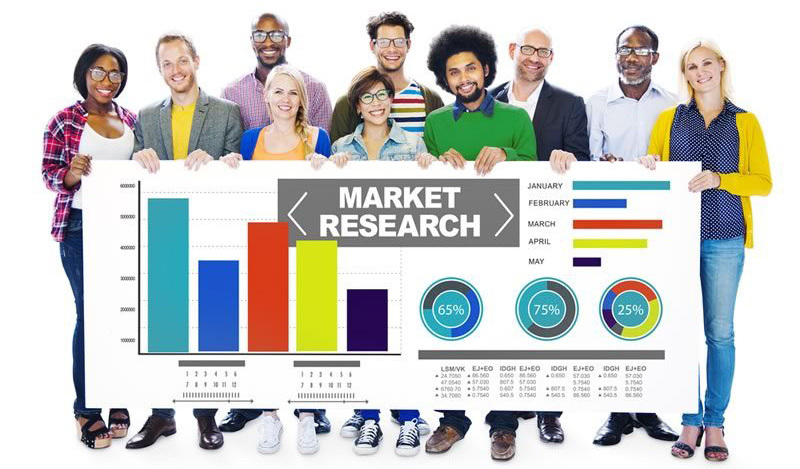 We offer market research and corporate identity packages to further enhance your brand management. You have to sell WHO you are in addition to your products and services. Customers are more likely to purchase from a business that has an established identity. A strong brand identity helps customers to recognize you, feel affiliated with you and most importantly trust you. When customers trust you they spend money on you. We’ll research your target audience and create innovative strategies that will assist you to create and build trust with your potential and loyal customer base. We’ll find out when your target audience is most likely to read what you post, how often they like to see posts and so much more. From distilling the essence of who your company is into a logo to researching your target demographic your corporate identity management is our speciality. Let us help you be recognized and trusted, in just one glance.